My sister got these for everyone in the family. It pretty much sums up the whole experience. 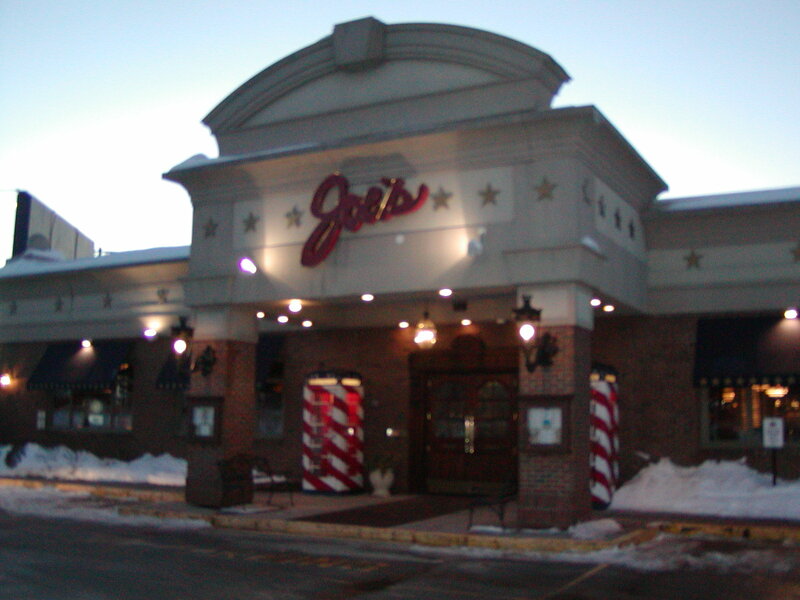 Today it’s Joe’s American Bar and Grill. When I worked there for a month as a sophomore in high school in 1975 it was Boraschi’s Villa, and the decorative sign from that incarnation can still be seen in the main dining room of the Route 1 eatery. 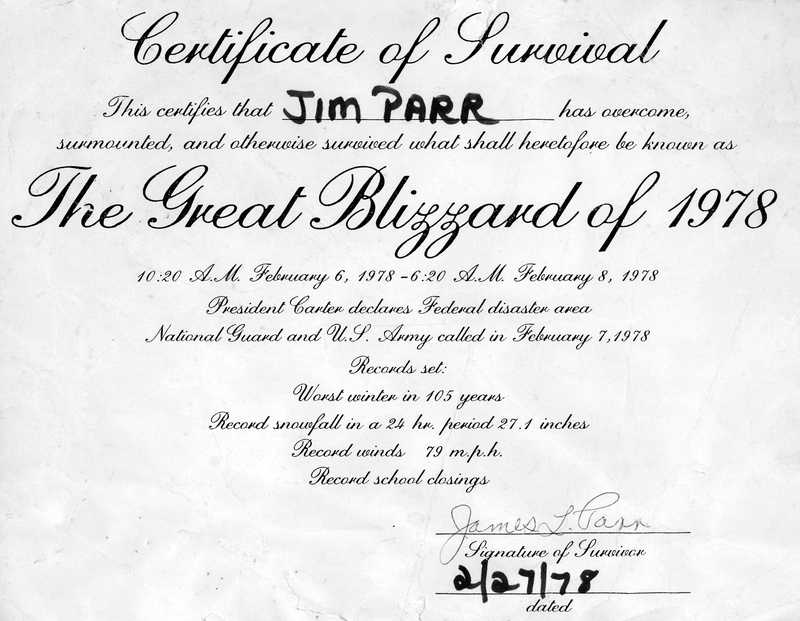 But in 1978 it was J.C. Hillary’s, and for several days during the Great Blizzard it became home to stranded motorists who trudged up from their abandoned cars on Route 128. Over 500 motorists stayed at both Hilary’s and the Showcase Cinema across the street, which became a Red Cross shelter for several days. Another 20 refugees from Route 128 made their way to the Caulfield home on Vincent Rd. 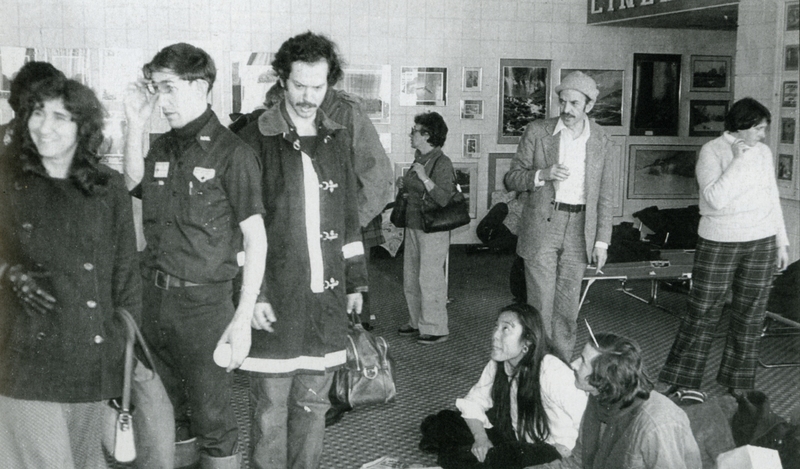 where they were given shelter. 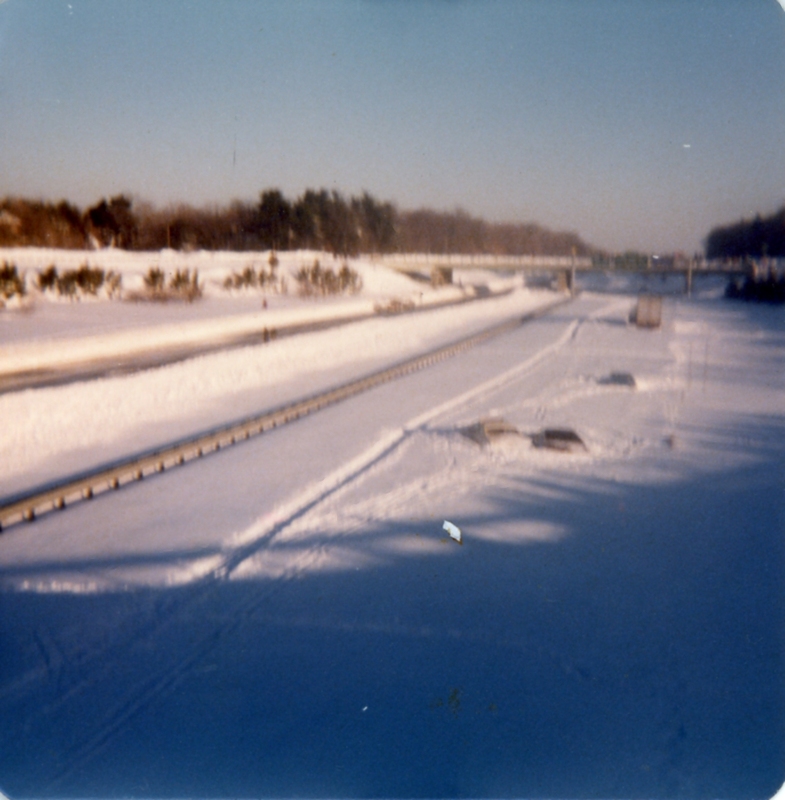 Roads were closed by order of Governor Dukakis, and both state and local police were busy handing out citations to people who disobeyed the order. 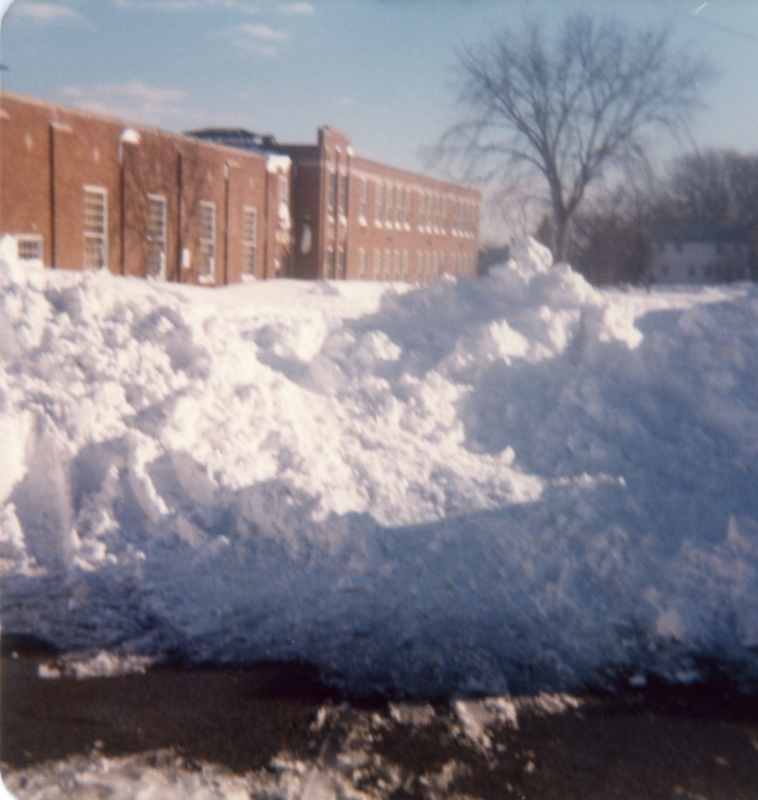 School in Dedham was closed for 7 days, with Dukakis declaring that the days did not have to be made up, so Dedham students only went to school 176 days that year. A portion of the roof of the Dedham Mall collapsed over Cummins, a women’s clothing store. During the storm burglars broke into The House of Sports on Eastern Ave. and made off with $5000 worth of sporting goods, including the toboggans that they used to transport their plunder. And I walked around with my little camera, taking fuzzy pictures of the Tower St. neighborhood. 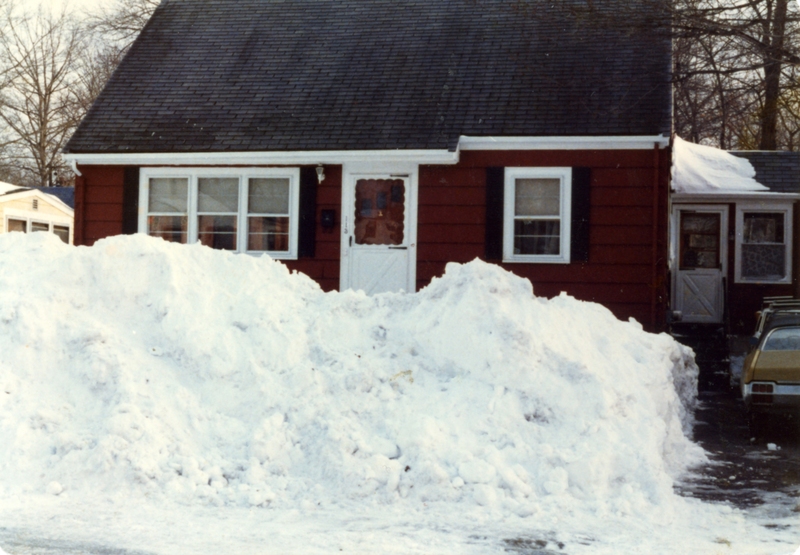 Below: The house on Tower St. after the Blizzard of ’78. 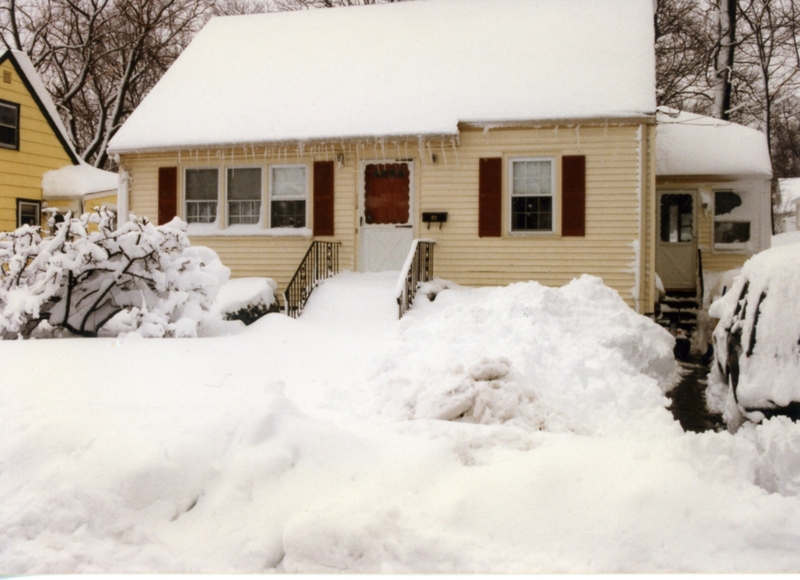 The bottom picture was taken after another memorable storm, the April Fool’s Day Blizzard of 1997. 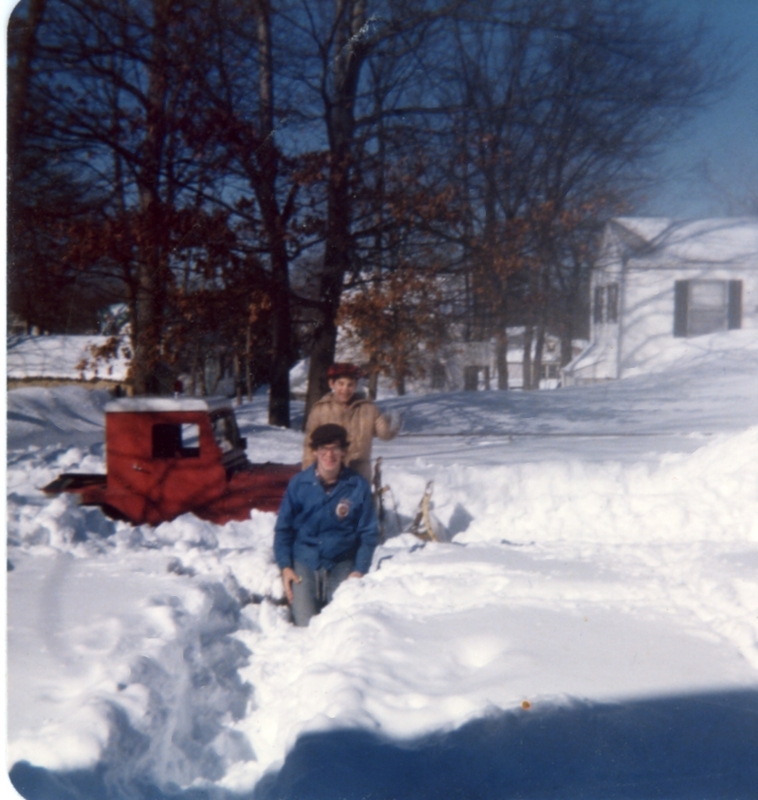 This Dedham eatery may be long gone, but it figures in my next tale of the Blizzard of ’78. 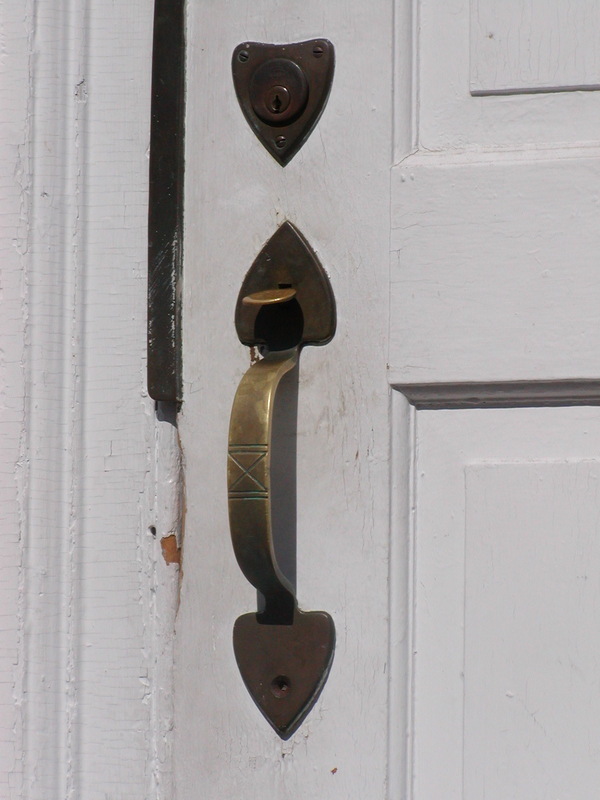 Do you know where you can find this remnant of the past in present-day Dedham? It’s been a long time since the last post, but now as Dedham celebrates 375 years as a town, it is time to share more tales from old Shiretown. If you are new to the blog, be sure to read all the old posts. Let me know what you think- suggest possible topics- send photos. 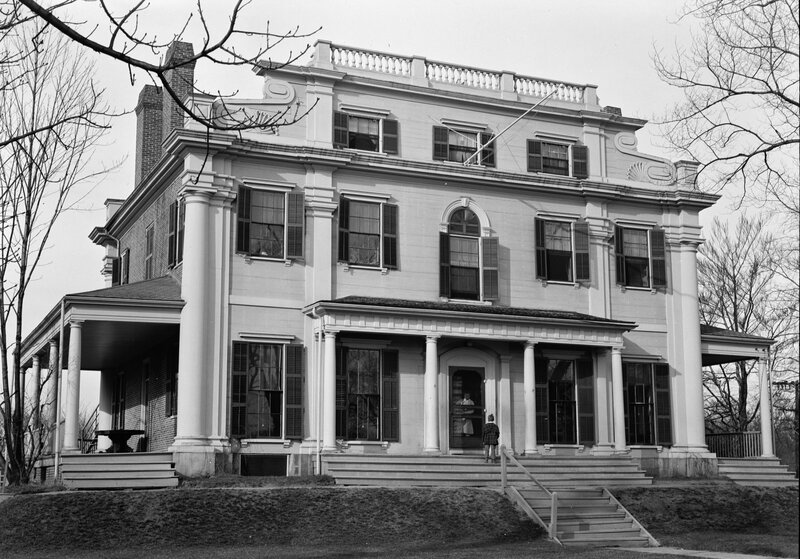 Let’s celebrate Dedham’s birthday together! We had a small hill in the backyard and would build jumps out of snow. Those plastic coasters were the newest thing at the time. In the background, my older sister is about to go down the hill with my year and a half year old brother in his plastic bathtub. 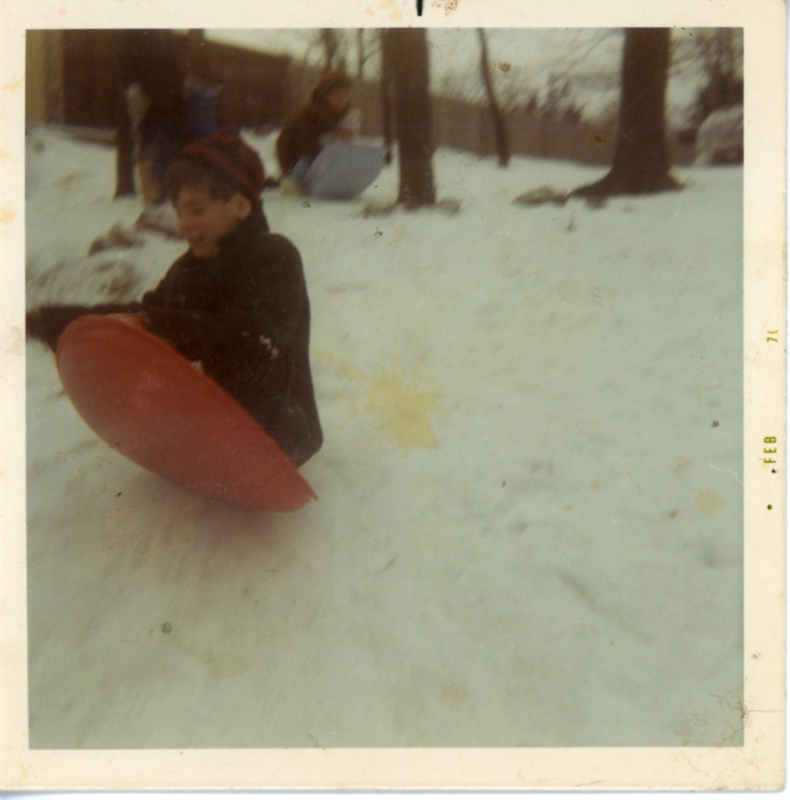 When I visited the old neighborhodd a few years ago, the family that bought the house on Tower St. from my parents told me they also sled down the hill, which they have named “Mt. Wilcox.” I love when traditions are carried on through the years. These scans are ads from the Dedham Transcript’s 1986 supplement celebrating the town’s 350th anniversary. The first pic shows that odd little sunken garden where people could sit and relax. Also visible is one of my favorite stores- Paperback Booksmith. I would browse there while my father did the grocery shopping at Stop and Shop down the other end. I remember once spotting this creepy looking paperback with a silver reflective cover and being immediately drawn to it- Stephen King’s The Shining. This ad lists all the stores that were still in business in September, 1986. 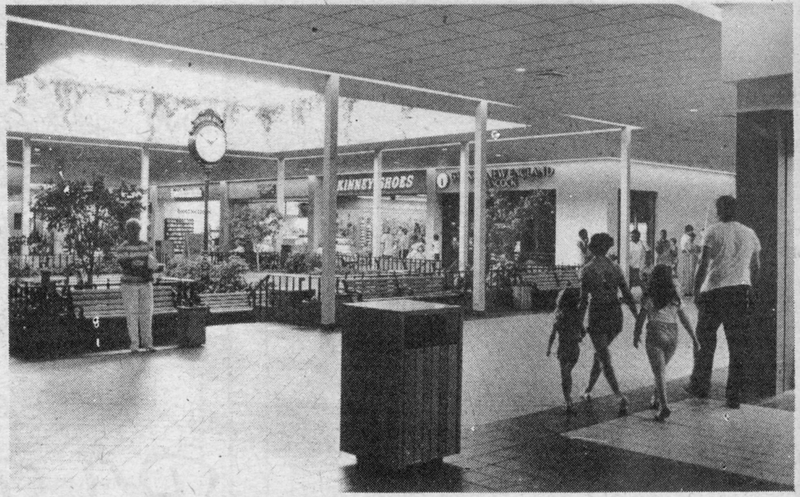 Woolworth’s was still hanging in there in ’86, but. alas, looks like Wrangler Wranch had reached the end of the trail.